I’m writing this the day after US Independence Day, aka July 4th. It’s a holiday many of us treat as a summer break, but I’m always unsure how many of us (including me) fully remember what the day stands for: the signing of the Declaration of Independence, which sealed our fate breaking away from Great Britain. I started my own celebration early–the end of May, in fact. That’s when I flew with my father to China for a six-city tour including a visit to Tibet and a cruise down the Yangtze River and through the Three Gorges. And as we wave goodbye to Independence Day, I realize my trip to China gave me more than a fresh set of interesting photos for my scrapbook. It’s helped me appreciate–and celebrate–the true independence we experience in my home country, the USA. Plus, I know some of you live in other nations and you love your home, too. That’s great–can’t wait to visit you there. But being immersed in China for almost a month–and talking to different Chinese people every day–reminded me of gifts I take for granted in my life and work here, gifts that allow me to bring my superpowers to work, to build my confidence in my career, to take control of what matters most to me. So in no particular order, here are five things I’m celebrating about my independence. Thanks, China, for the reminders. 1.I can choose my own job, no matter if anyone thinks it’s needed in the world. Yes, I wake up sometimes wondering if the world really needs another person coaching, speaking and writing about work, success and careers. Then, one of you tells me how our work has strengthened your career or changed a situation you were struggling with at work. In fairness, some of the Chinese can pick their jobs, too, assuming they pass certain education requirements and tests and there’s a demand for that job. But we heard many stories–presented without emotion or judgement–where people were told the work they must do. For example, our guide’s mother was a teacher, and the government moved her (not asked her) from urban Shanghai to rural Urumqui, about 3000 miles away. Lifelong farmers living where the farmland has been reclaimed by the government for factories are now factory workers. 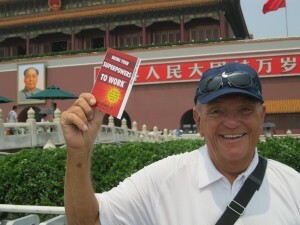 I know many workers in the US perceive they’re trapped in jobs they didn’t choose or not longer want; however, unlike many of the Chinese, we always have a choice to move on. What we confuse with being stuck is our unwillingness to consider other possibilities and to accept any consequences of change–an increase of risk and/or fear of the unknown, a potential decrease of income or perceived security, or even the possibility of getting everything we’ve dreamed of. 2. I can write and speak freely. We were told 25% of China’s budget goes to administering communication filters online and elsewhere. I can’t confirm that fact, but we did see websites blacked out and were told email could be monitored. 3. I’m free to say and do stupid things. See #2 above. 4. I can practice dreaming. Late in our trip, after our traveling crew had forged bonds like a little family, I asked our 40-year-old Chinese guide whether her current work was what she wanted to do in the future. Was it her dream job, or was there something else out there for her someday? Even with impeccable English, she didn’t quite understand the question. I tried asking in other ways, but couldn’t get an answer. I later realized that culturally, there isn’t an environment of actively talking about your dreams and saying what you want as an individual. Family, maybe, but me? No. I know there are people in the US who still won’t speak of the things they want or hope for–I’m just glad that I can so I can help them come true. 5. I can be a creative thinker. As a broad generalization, the Chinese are more structured, disciplined, and focused than my fellow Americans, and it works for them in many ways. 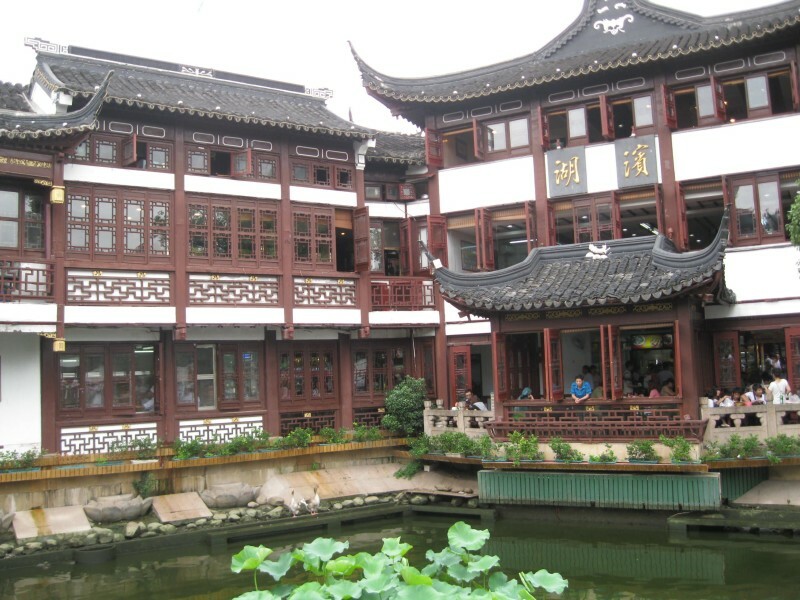 But in our journey, we often heard that a building or project was conceptualized by an American/Canadian/Australian/European, and then completed by the Chinese. Completion is important, but figuring out what to do in the first place is essential. Creativity and innovative thinking is essential to help the world move forward–and it only emerges out of independent, free thinking. The food was great (with the exception of yak in Tibet). And the people were kind and welcoming to strangers, as interested in us as we were them. But I’m glad to be home, and I now recognize the power of independence more than ever before. So renew (or get) your passport and get out of your country, state, or town. Update your resume and get out of your stuck, brain-killing job. Refresh your dreams and propose new projects/ideas/processes in the place you work right now that move you closer to what you want. As long as you’re free, you can do something to flex your independence.